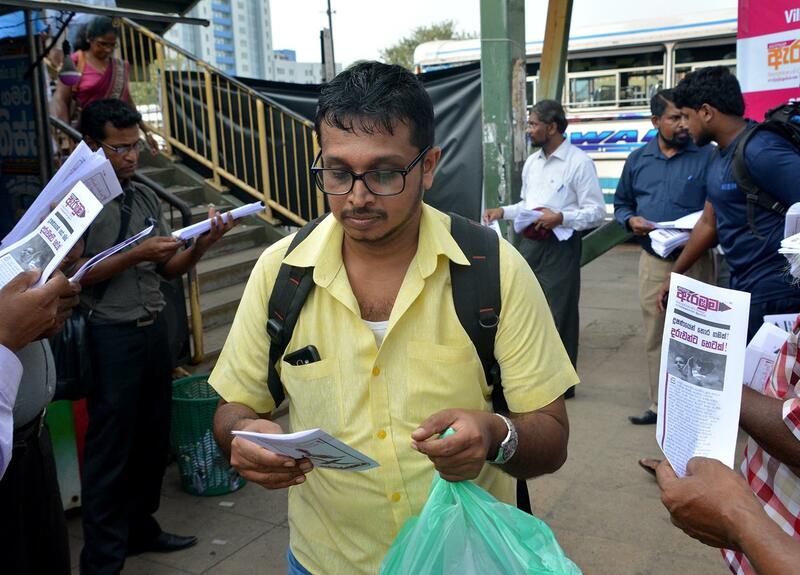 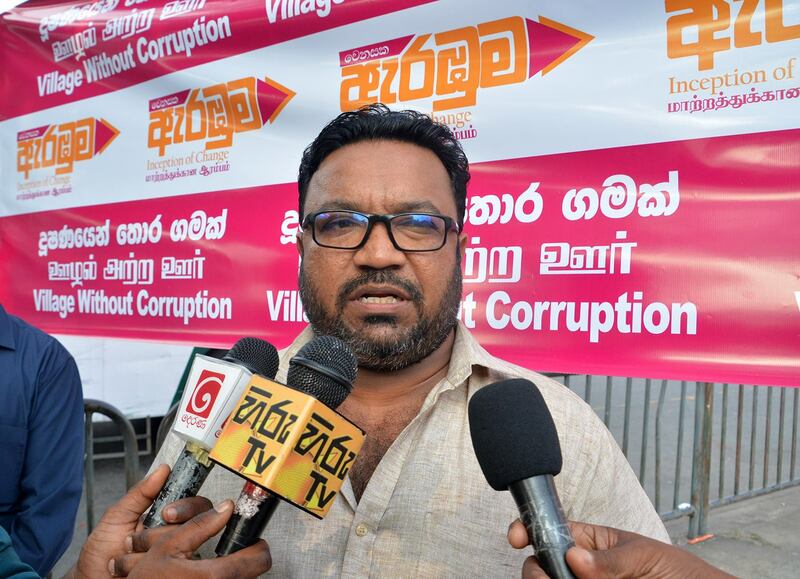 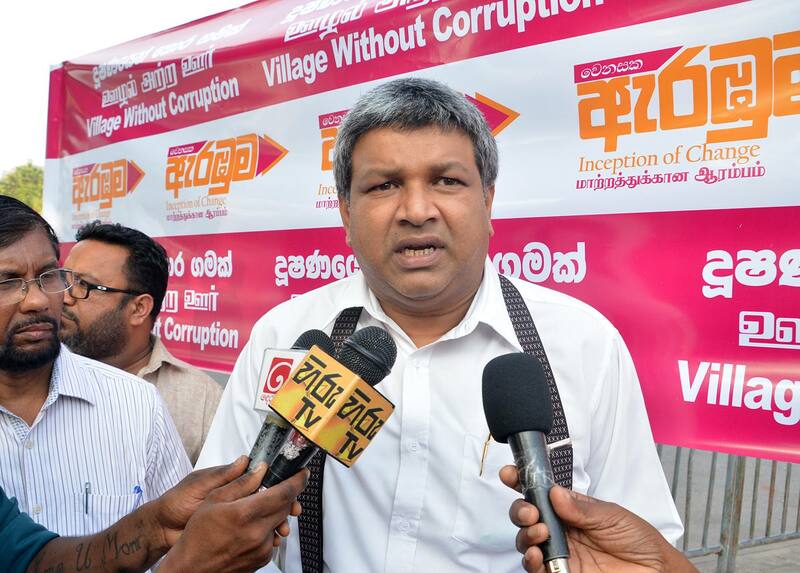 A leaflet campaign carried out as another step of the people’s forum launched by ‘Inception of Change’ to have a dialogue with the masses regarding the local government election was held opposite Fort Railway Station yesterday (23rd) evening. 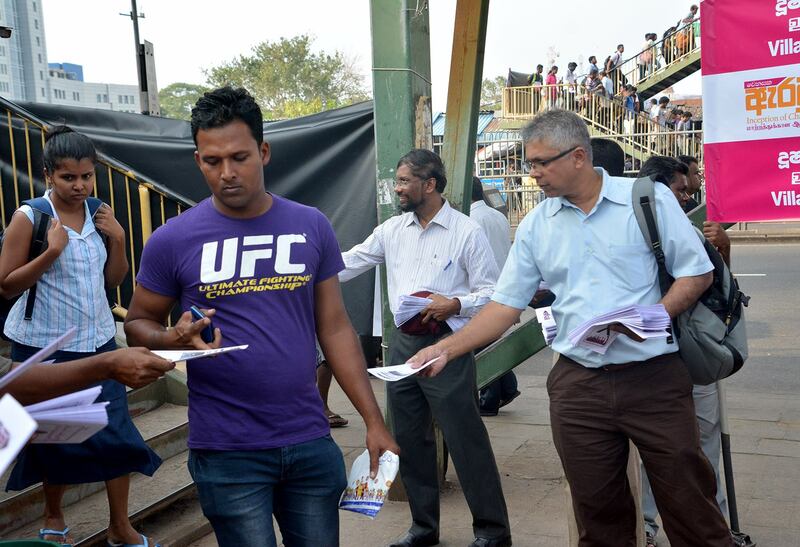 Several intellectuals and artists including Prof. Chandana Abeyratne, Dr Nirmal Ranjith Devasiri, Dr Nihal Abeysinghe, Senior Lecturer of the University of Fine Arts Asela Rangadeva participated. 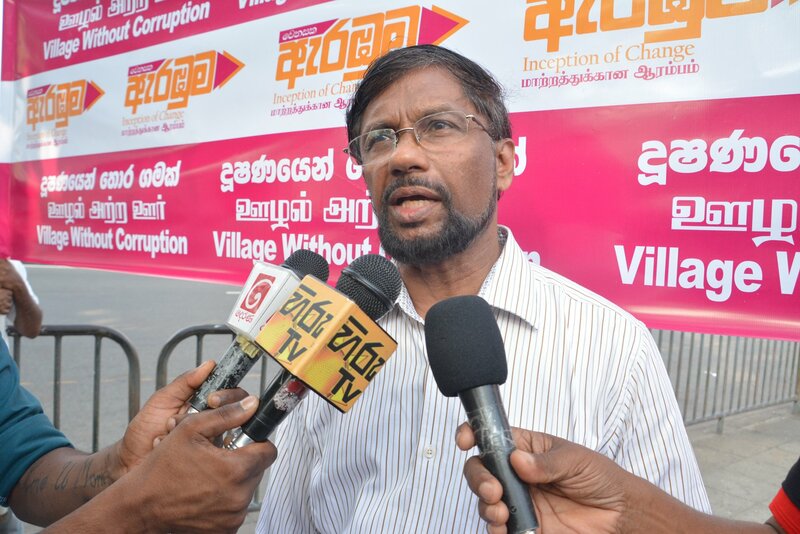 ‘Inception of Change’ holds a series of seminars throughout the island and will hold the ‘National Forum’ under the theme “Who should be given power in the village?” at Youth Services Council Auditorium at Maharagama tomorrow (25th) at 3.30 p.m.